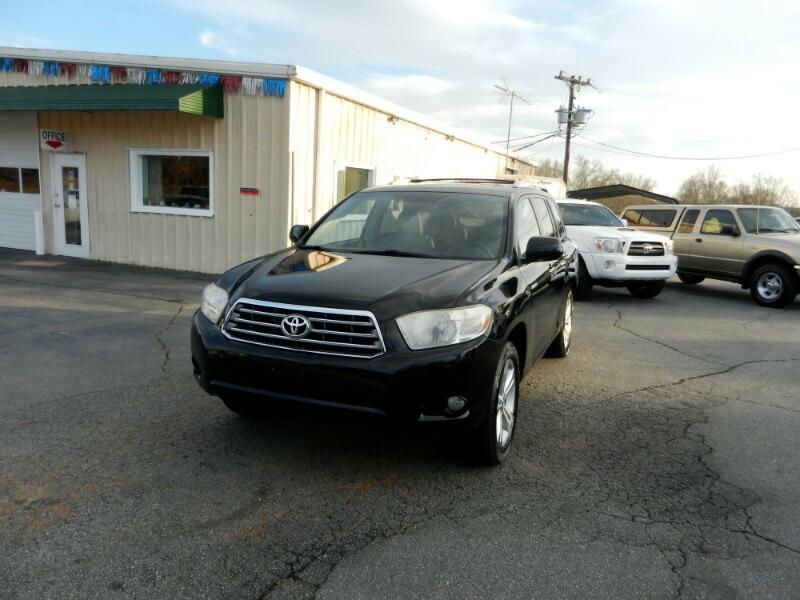 View georgelewisclassiccars.com for more photos of this 2009 TOYOTA HIGHLANDER LIMITED 4WD, 3RD ROW, BLACK with GRAY LEATHER INTERIOR, **NEW ARRIVAL PHOTOS COMING SOON, *128,672 MILES*, Automatic, 3.5 L V-6 Engine, all power fully loaded, cold front and rear air condition, factory owner manual with all books, factory AM /FM STEREO / CD / SATELLITE RADIO / WMA /MP3 / with JBL Sound, Navigation, rear view camera, bluetooth, factory leather wrapped steering wheel with controls, factory leather wrapped / wood grain shift knob, factory wood grain, factory keyless entry, have both keys and remotes, factory power heated driver and front passenger seat, factory power sunroof, factory large center console, factory folding 2nd and 3rd row seats, factory power rear lift gate, factory luggage rack, factory tow package, factory rear spoiler, factory tinted windows, factory fog lamps, factory 19'' Alloy Wheels with Bridgestone Dueler H/L Tires. A must see and drive to appreciate, priced to sell @ ,$14,995. Call Duane Wilson @ 1-866-959-4037, or 1-864-269-6000, or email us for a test drive appointment @ glewisclasssiccars@yahoo.com. YOU WILL LOVE THE FRIENDLY GEORGE LEWIS AUTO SALES CAR BUYING EXPERIENCE! FIND OUT FOR YOURSELF WHY OUR AUTOMOTIVE SHOPPERS LIKE SHOPPING WITH US.